So now I’m 41 and probably one of very few women entering her fifth decade welcoming the decline of my looks. I can’t wait for the wrinkles and the grey hair that will help me blend into the background. Perhaps then the sisterhood will finally stop judging me so harshly on what I look like, and instead accept me for who I am. I know one thing: there are other sides to this story. I bet those people who appear to be discriminating against her have their perspectives on what actually happened. Let me tell you what happens to me when I travel, even to the grocery store. People open doors for me–when I smile. People help me with items on the top shelf. If I have to wait in line somewhere, inevitably people see me with my cane and offer to move me up in line, especially if I smile. I have no idea if I’m weaving back and forth. I try hard to stand quite still when I stand up, clenching my glut’s and extending my hip flexors. Why am I telling you this? Because I have accepted who I am. I am a short woman with a cane, and, I hope, an engaging smile. I use the smile to connect with people, to build rapport, in business, at the grocery store, at the mall, at the airport. I don’t do it to get something from people. I do it to connect with people. I try to remain independent, because I don’t know how long I can be independent. In the meantime, I am enjoying life. Part of my enjoyment is connecting with people. I don’t know Ms. Brick. All I have are questions. Does she use her beauty to connect or build a barrier between her and the rest of the world? Is her beauty how she defines her self-esteem or her self-concept? If so, I pity her. She could be so much more than her beauty. 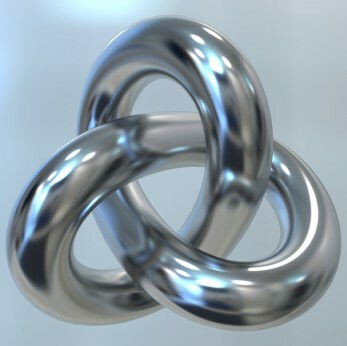 Self-confidence, self-esteem, and self-concept are a gordian knot. As long as you define yourself by something external, you will have a tough time. The more you define yourself by something internal, you will have an easier time. I decided when I first started with this craziness, that I would act cheerful. I had a difficult time succeeding, until the medication I am on now. I found it difficult to act cheerful when the world went up and down every time I moved my head up and down. Now, I have 2.5 years of acting cheerful. It’s become a way of life. Most of the time, I am cheerful. Not always, but often. I find that people respond to my cheerfulness. I’m not beautiful. Oh, it doesn’t hurt to look at me. But, I was never a classic beauty. Too short, too curvy, too big-mouth, too something :-) But I have a smile people respond to. When I speak, whether it’s one-on-one, to a small group, or to a huge room, I engage people. That’s a form of “beauty,” I think. So I will keep smiling. And, telling my stories when I speak. And staying cheerful. And working on my emotional resilience. And staying happy. I wonder if Ms. Brick ever is. Good luck, Ms. Brick. In other words: you have an inner beauty and it comes out in everything you do. You don’t judge people by their cover and expect them to not judge you by yours.